NCA was enlisted to renovate the hotel and transform 60 guest rooms with shared bathrooms into 45 suites with private baths. The design called for recapturing the hotel’s Victorian style by reusing period furnishings, as well as restructuring the upper floor, reconstructing the cupola, replacing windows and shutters and rebuilding the original covered porch. NCA brought added value to the boutique hotel project by persuading the client to incorporate commercial space on the ground level beneath the porch. 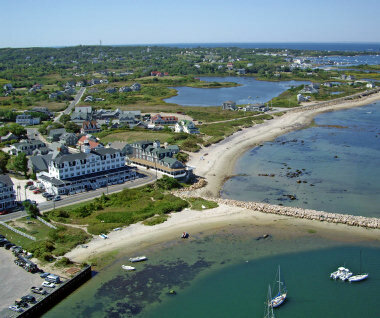 The additional revenue opportunity supported the historic rehabilitation and helped redefine Block Island’s commercial center.